Yay! 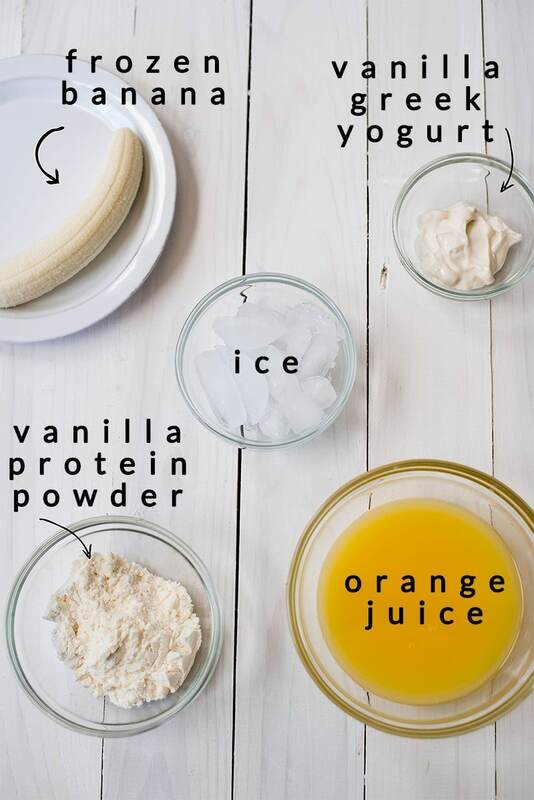 Another protein shake recipe! 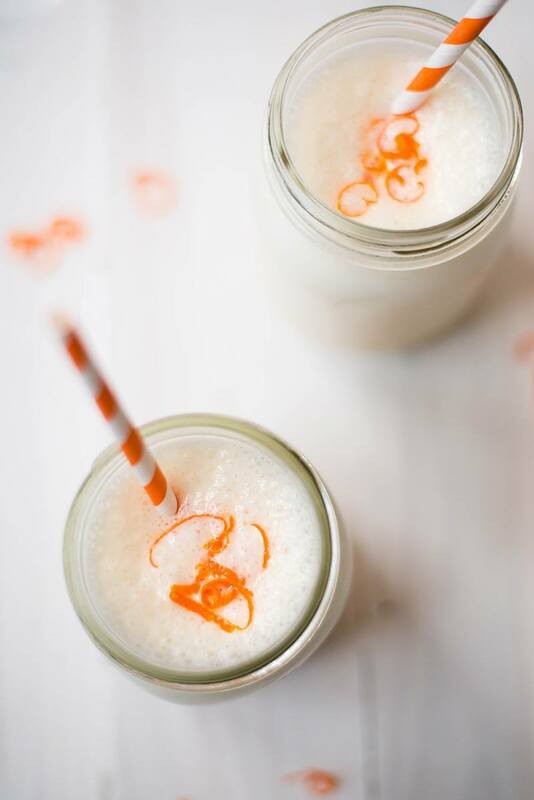 This Orange Protein Shake has been a new favorite in our house. While we rely a lot on the Chocolate Peanut Butter & Banana Protein Shake and the Banana Protein Shake, there does come a time when we want something fresh and new. And what better way to freshen things up than to add some orange juice, right? 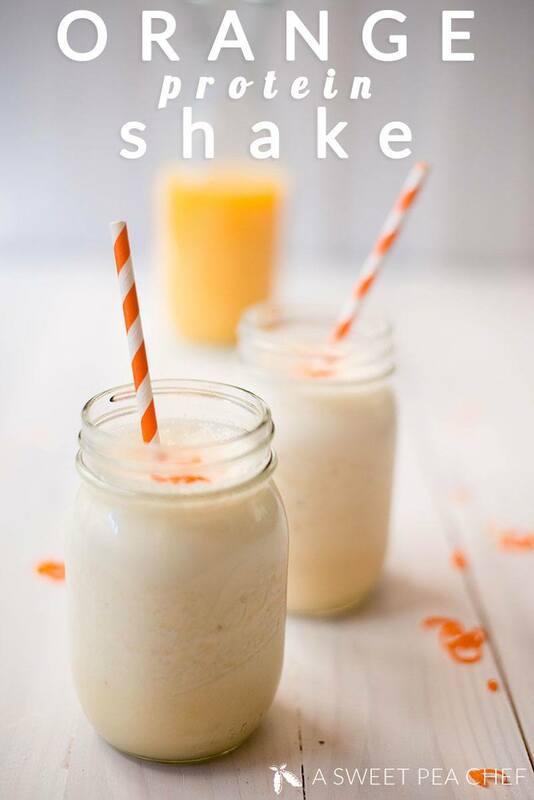 This shake has a delightful lightness and vibrance to it from the orange juice, yet it’s still sweet and thick from the protein powder and frozen banana. If you’ve never frozen a banana before, it’s super duper easy. Just peel the banana before placing it in a Ziploc bag. We go through a good 2-3 bunches of frozen bananas a week, with the kiddos, protein shakes, and tasty snacks. Having a protein shake for breakfast, post-workout, or as a meal replacement is a great way to get you protein, fill up, and have a delicious meal. It’s rare a day goes by and I don’t have at least one. I’ve also done my fair share of burning through blenders. The best I’ve found so far are the Ninja Professional Blender and the Kitchenaid Architect Blender, both of which I use regularly. A lot. If you don’t have protein powder, I highly recommend Dymatize Nutrition’s ISO-100 Gourmet Vanilla Protein Powder. This protein powder is, far and away, the best available — for its contents and taste. I always have a tub of this and their Gourmet Chocolate in my pantry. 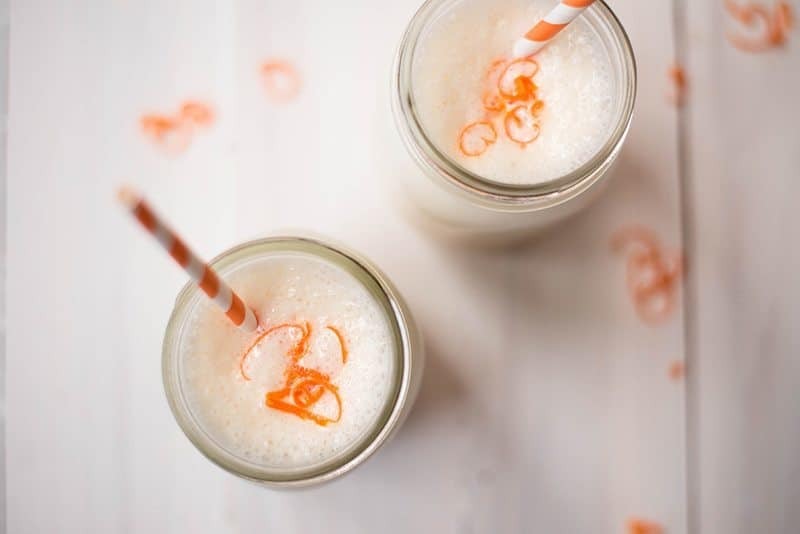 Try this Orange Protein Shake as a high-protein shake recipe, meal replacement, or breakfast today. Place all the ingredients into a blender, starting with the orange juice. 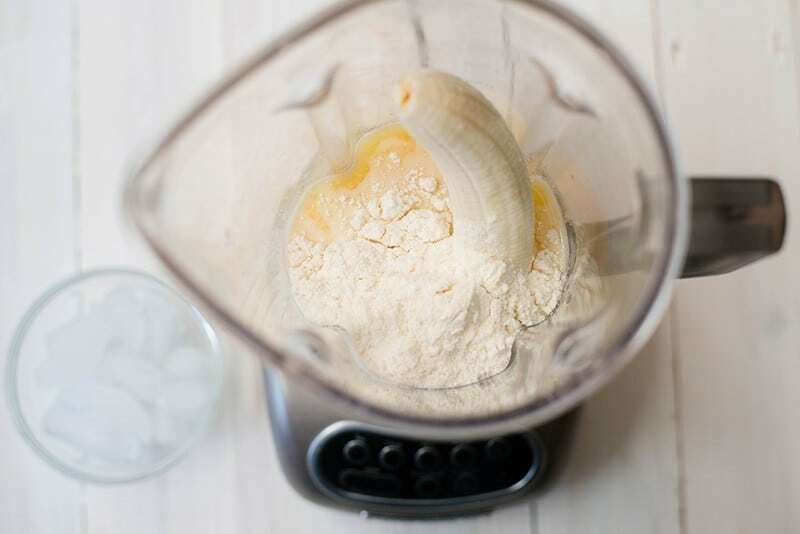 Depending on your blender’s settings, first start on the chop mode to chop up the ice and frozen banana, followed by pureeing the mixture to create a smooth, even consistency. If too thick, you can add some more orange juice, little by little. If not sweet enough, add a little more yogurt. This recipe looks great!! Do your kiddos enjoy the protien shakes or primarily the adults?